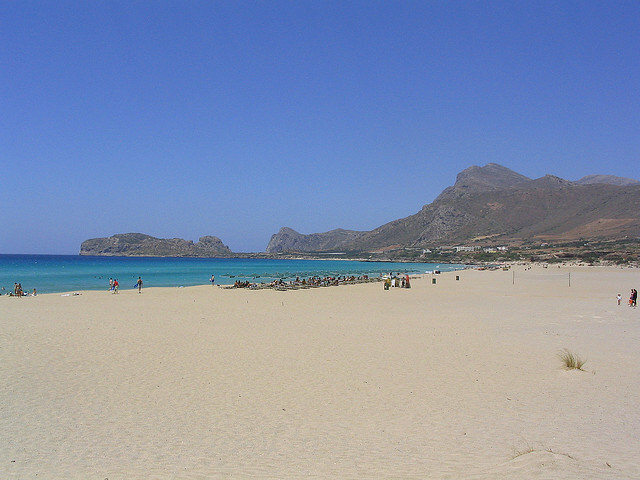 This protected beach sits at the very south-western tip of Crete. Its isolation and remoteness make it a very attractive and unique beach to visit for the day. 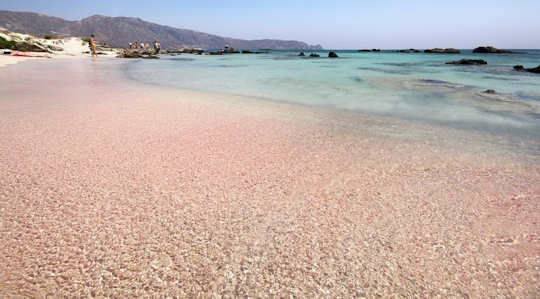 Its pink sands and beautiful natural islets create a wonderland surrounded by turquoise waters. Choose a villa within driving distance that meets your family’s needs. Our pick is Mouri Villa (below) with its beautiful 18th Century character building which has been totally renovated with modern comforts. 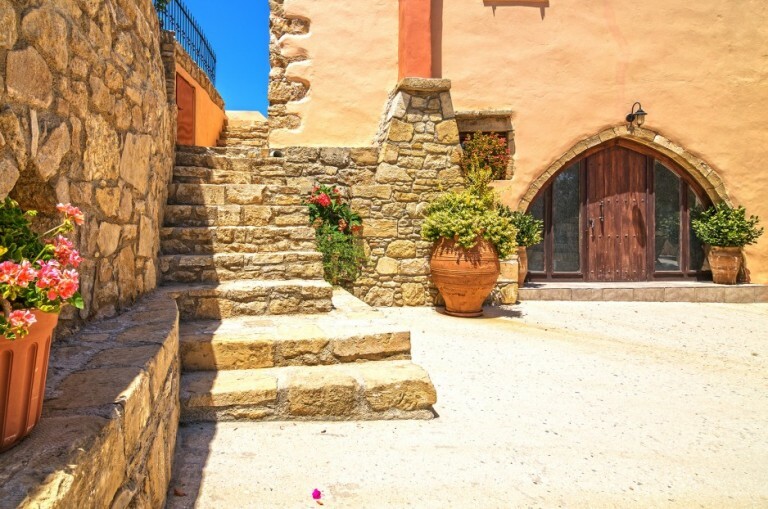 This one bedroom house sits adjacent to a newly built three bedroom home, all providing the essential character of the traditional Cretan architecture. The pool, spa and modern kitchens as well as the location make this a perfect pick for couples or families wanting to experience country life and village life. Explore the nearby Topolia Gorge and Elafonisi Beach. Falasarna Beach actually has five different coves to explore and a very wide big long sandy beach, perfect for relaxing and watching the sunset. The ancient ruins of Falasarna sit just behind the beach. Our pick is Platanos Villa made of traditional stone and wood yet with an exquisite view and only 6 km from Falasarna Beach and Ruins. Be warned that hot house vegetable farms form large tracts near this beach. 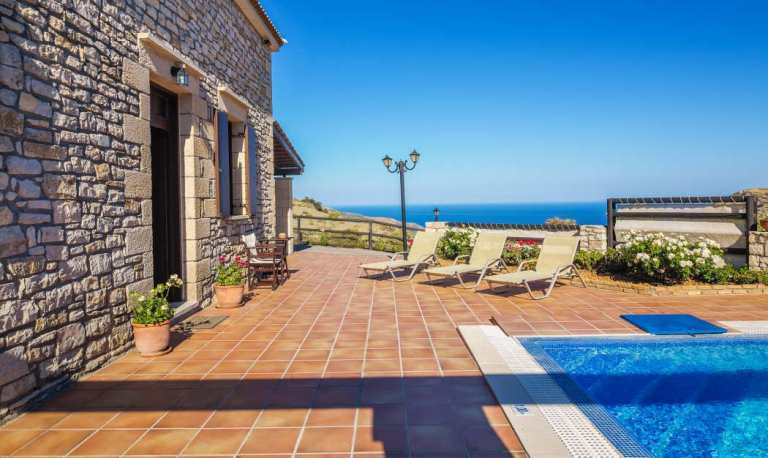 This villa has three bedrooms, four bathrooms and an accommodate up to 8 guests. 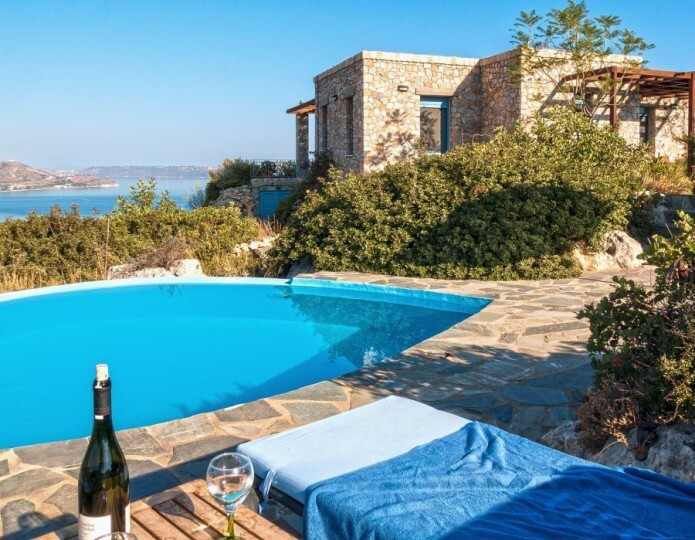 Features include a private pool, dishwasher, wireless internet and peace and quiet, perfect for Crete luxury holidays. 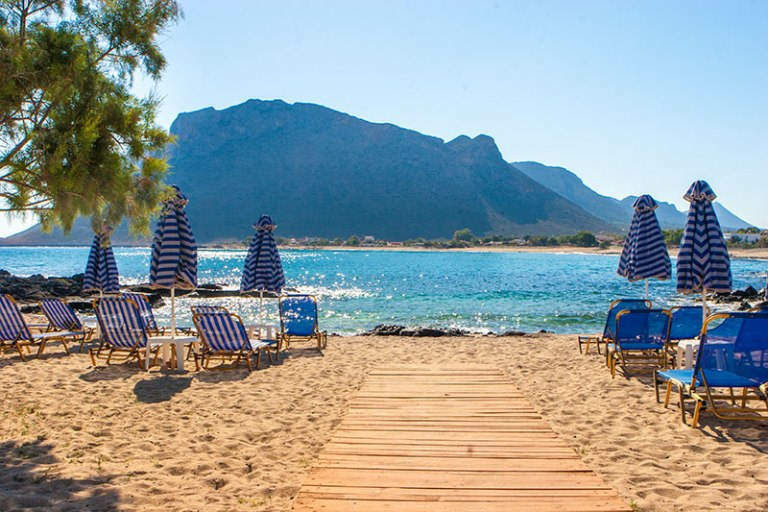 This beach is only 11 km from Chania town and has all you could ask, tavernas, cafes, bars and restaurants as well as water activities. 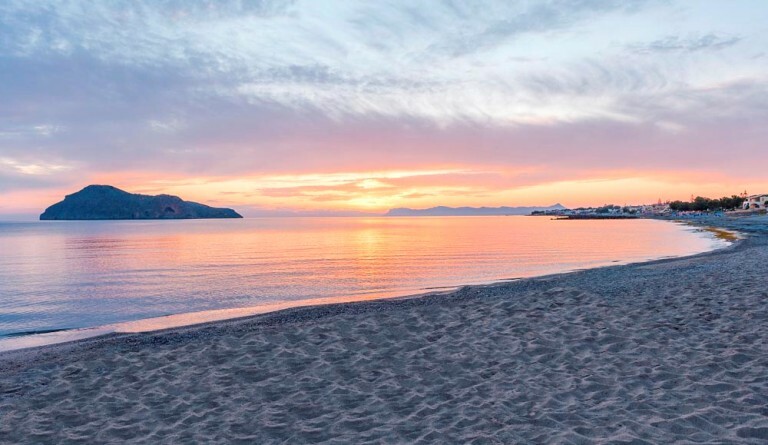 Staying in a villa near here gives you the best of both worlds; the beach and the historic centre of Chania. Chania Accommodation - choose Harmony villa in the olive groves only 8.5 km from Platanias. Moreover the other long beaches of Maleme and Kolimbari are also close. This large villa is perfect for a family reunion, has four bedrooms, five bathrooms and a pool. The whole family or many families will enjoy the spacious rooms, private garden, lovely views and closeness to Tavronitis village. Visit the beaches and markets in nearby Voukoulies village. This beach became famous after the movie 'Zorba the Greek' was released in 1964, as it forms the backdrop for the quintessential dance between the two characters. They danced the sirtaki συρτάκι, which since that movie has become famous as ‘the dance of Zorba’ and the music of Mikis Theodorakis recognised all around the world. The dramatic beach scenery, narrow calm cove and sandy beaches are perfect for summer holidays. 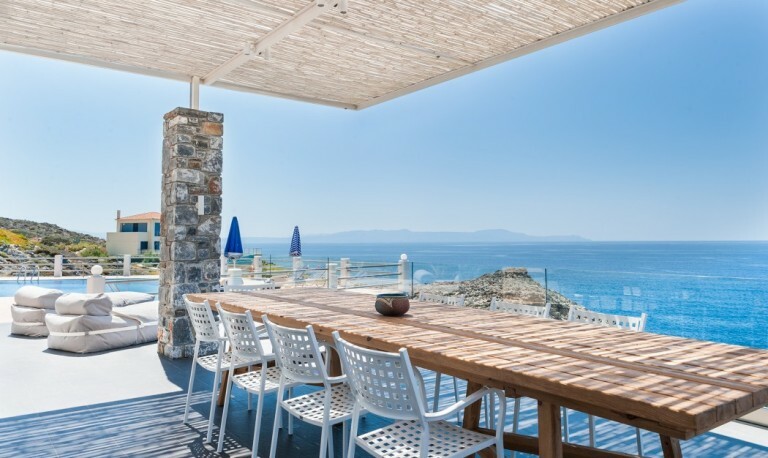 Chania Accommodation - our pick is the stunning Villa Penelope with uninterrupted sea views and modern styling. 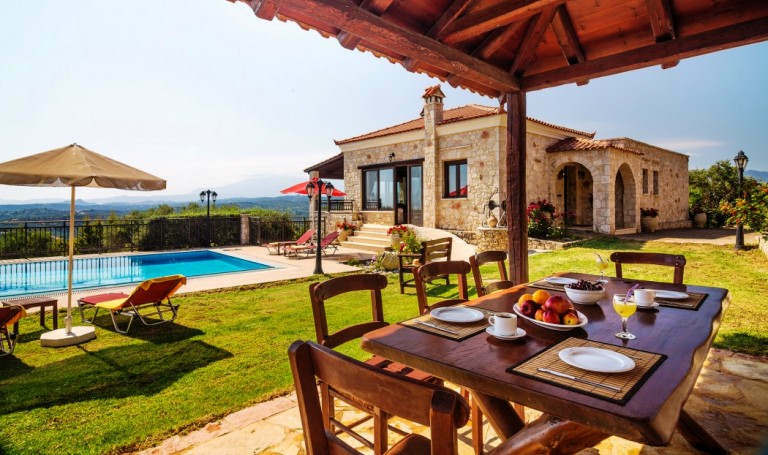 This villa accommodates 13 people with 6 rooms and 4 bathrooms. 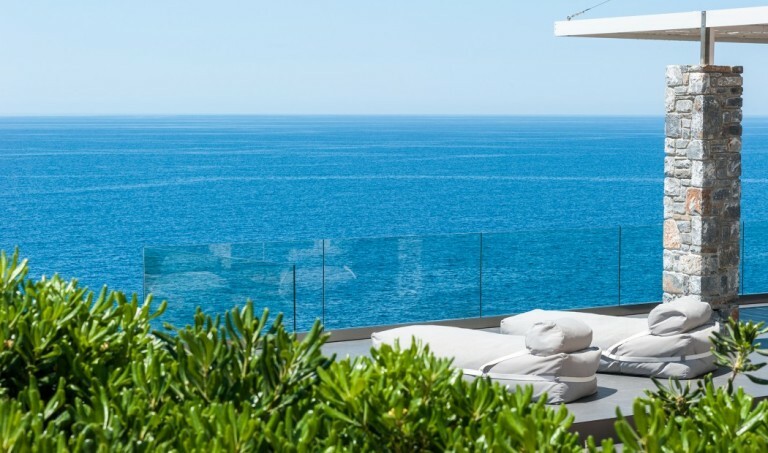 Laze away your days by the sea and pool, soaking in the colours blue, blue and blue. Visit the little cove of Tersanas Beach. There are two separate entrances to two 3 bedroom apartments, ideal for two families travelling together. 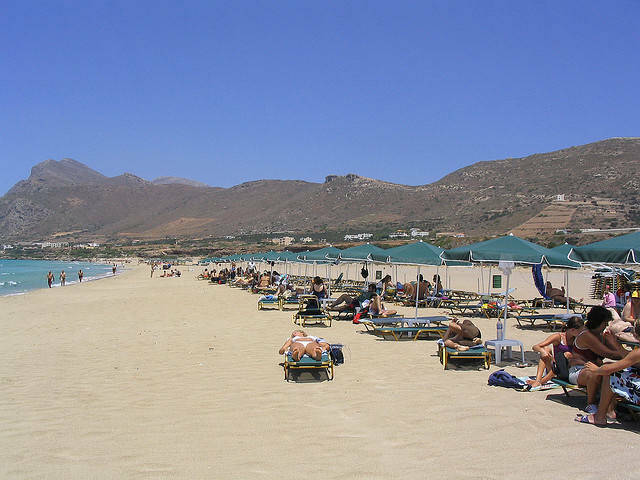 Stavros Beach is shallow and safe for children. 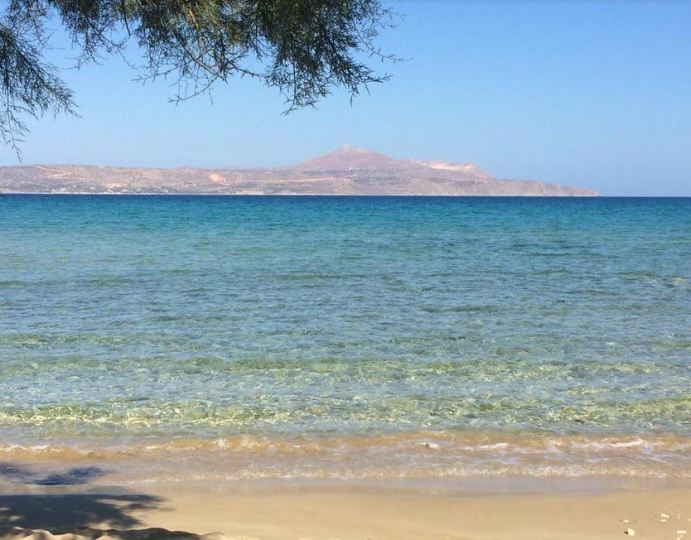 This beach is lovely and sandy with clear waters, it runs along the south edge of Souda Bay and is surrounded with Plaka and Kalives beaches. The seaside village has tavernas and restaurants sitting on the sand with your pick of fresh seafood meals. 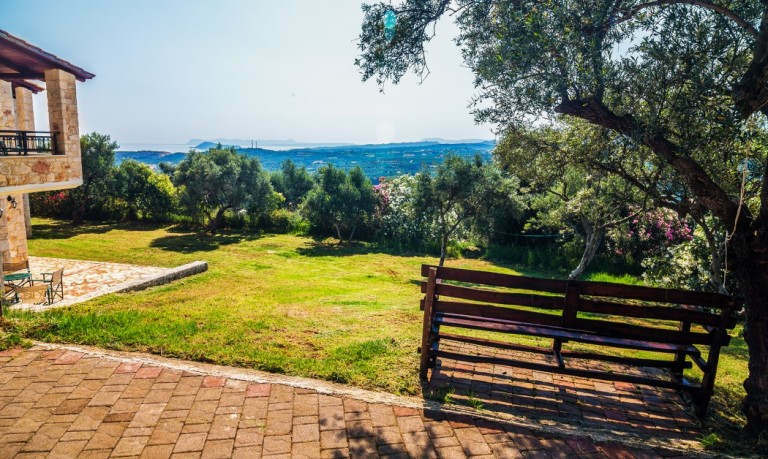 Chania Accommodation - here our choice is Ikaros Villa - this two bedroom villa is only 1.5 km from the beach, has an exquisite view of Souda bay, lots of privacy and is only 35 km from Chania Airport. 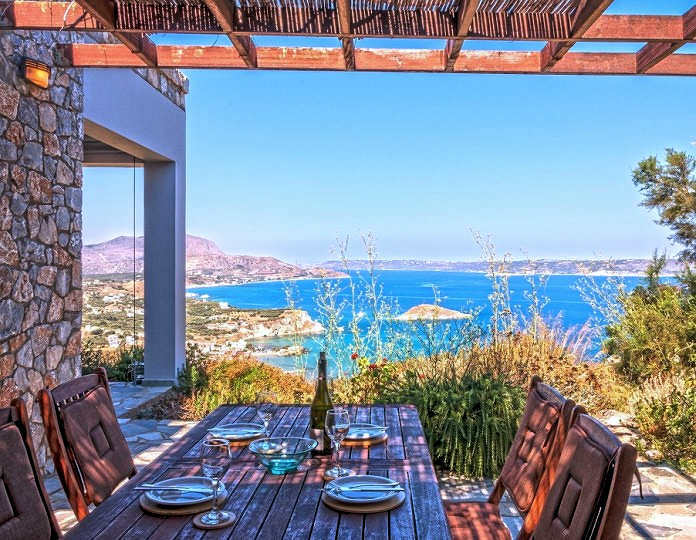 This villa is only 20 from the port where the ferries arrive in from Athens, and only 30 km from Chania town, explore the many attractions of this Xania region from this good central location, and see Rethymnon only 48 km to the east. 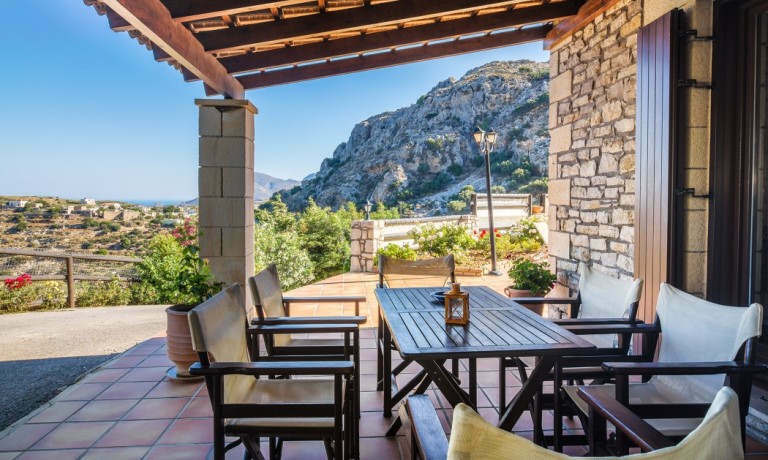 Chania Accommodation - the Chania region is served by the Chania International Airport, which sits on the north-west coast of Crete, just 15 km from the regional capital. The historic centre of Chania is beautiful, its Venetian harbour ringed with tavernas and cafes, its back streets narrow and twisted, full of atmosphere and dotted with art studios, boutiques and traditional craft studios. The rugged, rocky mountains and gorges of this region hold the secrets to the character of the island and its people, visit Agia Irini Gorge or Samaria Gorge and the tiny south coast villages of Sougia, Agia Roumeli and Loutro. Explore the high White Mountains known as Lefka Ori and Askifou Plateau. Nature lovers will enjoy Chania and find a wealth of diverse ecological areas for walking, hiking and trekking. Walk the E4 European Walking Trail which starts in Kastelli-Kissamos and weaves its way along coastal and alpine routes. The other spectacular beaches of this region will take days to enjoy, you will need to double your holidays to see them all. Take a boat ride to the secret pirate cove of Balos Lagoon, visit the little white chapel on the water at Georgioupolis Beach, trek the mountains next to the sea at Sougia Beach. 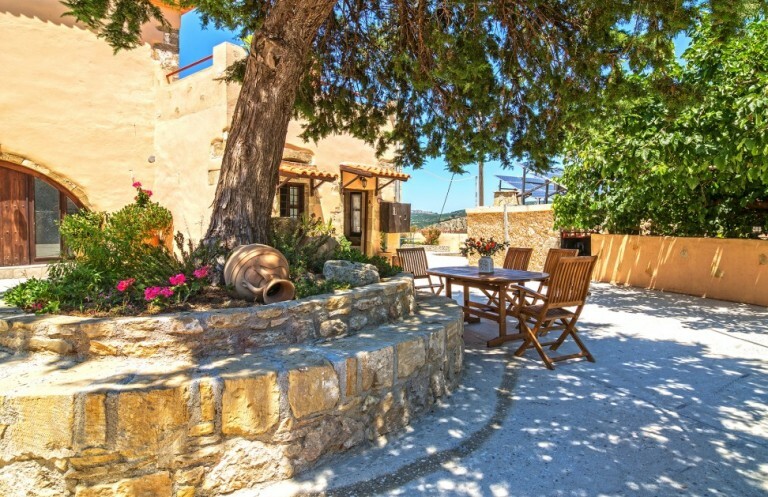 The villas featured on this page for Chania accommodation require vehicle access as they are located in small villages or in the country. Hire a car easily with our partner Car Rental Centre Crete.